be harsh and inhospitable, and tourists are well-advised to exercise caution and respect for the country's natural environment. Unfortunately, there have been accidents in the past few years involving foreign tourists travelling around the country. The most common type of accident is that of hikers losing their footing on uneven terrain. The more serious injuries, however, are caused by road traffic accidents where travelers drive too fast in unfamiliar conditions and do not wear seat belts. Most mountain roads and roads in the interior of Iceland have a gravel surface. The surface on the gravel roads is often loose, especially along the sides, so one should drive carefully and slow down whenever approaching an oncoming car. The mountain roads are also often very narrow, and are not made for speeding. The same goes for many bridges, which are only wide enough for one car at a time. In addition to not having an asphalt surface, the mountain roads are often very windy. Journeys may therefore take longer than expected. For information on road conditions call (+354) 1777, daily 8:00–16:00 or visit www.road.is. 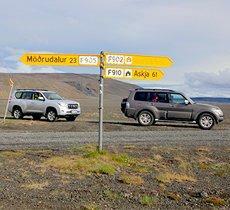 The total length of the Ring Road around Iceland (national highway) is 1,339 km. The general speed limit is 50 km/h in urban areas, 80 km/h on gravel roads in rural areas, and 90 km/h on asphalt roads. Look for the speed limit signs and always adjust your speed to the driving conditions. Driving outside marked trails is prohibited and is subject to nature conservation law. 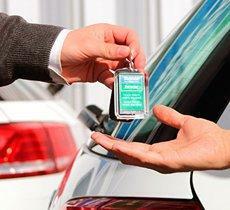 Driving rental cars on roads or tracks with no road number is forbidden. Passenger cars and 2wd vehicles are strictly forbidden on roads that are marked with an F on public maps. This also applies to Kjölur (road 35) and Kaldidalur (road 550). No insurance covers damages to the chassis of the vehicle nor damages caused by driving in or across rivers or any kind of waterways. Keep in mind that fords over glacial rivers keep changing. On warm summer days, the flow increases as the day progresses. Heavy rain often causes rivers to swell, sometimes making them uncrossable even for large and well equipped vehicles. Glacial rivers usually have less water in the mornings. Deaths have been caused by underestimating the water volume in rivers. Before crossing a glacial river, it is necessary to examine its velocity, depth and bottom by wading into it. If you find that you would be unwilling to wade across the river on foot, you should not attempt to drive across it. Seek advice from experienced drivers and watch how and where they cross. Crossing rivers is only allowed on four-wheel drive Jeeps such as car groups FG, G, H, I, R, K & X. 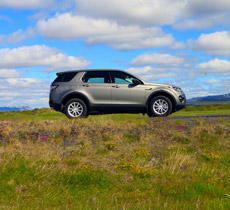 Ensure that the four-wheel drive has been engaged before driving into the water. Drive very slowly but steadily in first gear and use the low range if available. Special warning signs indicate danger ahead, such as sharp bends, but there is generally no separate sign to reduce speed. Please choose a safe speed according to conditions. Motorists are obliged by law to use headlights at all times, day and night. In Iceland all driving off roads or marked tracks is prohibited by law. Passengers in the front and back seats of an automobile are required by law to use safety-belts. Icelandic law forbids any driving under the influence of alcohol. In the Greater Reykjavík area most filling stations are open every day to 23:30. Opening hours around the country, where the pumps are privately operated, can vary from place to place. Many stations in the Reykjavík area and larger towns of Iceland have automats in operation after closing, which accept VISA and EURO credit cards as well as notes. Most mountain roads are closed until the end of June, or even longer because of wet and muddy conditions which make them totally impassable. When these roads are opened for traffic they can only be negotiated by 4x4 vehicles. 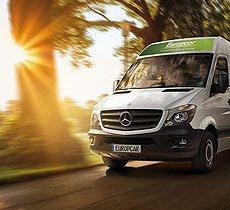 Please make sure when you reserve your Europcar rent-a-car that the selected vehicle qualifies for such use. 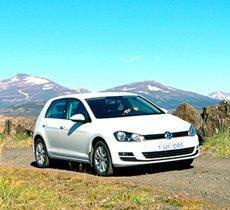 For some mountain tracks it is strongly advised that two or more cars travel together. Also, before embarking on any journey into the interior collect as much information as possible regarding road conditions from a travel bureau, tourist information office or the Public Roads Administration, (+354) 1777, daily 8:00–16:00 or visit www.road.is. Always bring along a detailed map. "Icelandic Traffic Signs" for Android smart phones. The app shows Icelandic Traffic Signs and general information on roads. The app is free of charge and has been approved by the Icelandic Road Traffic Directorate. Get it here!